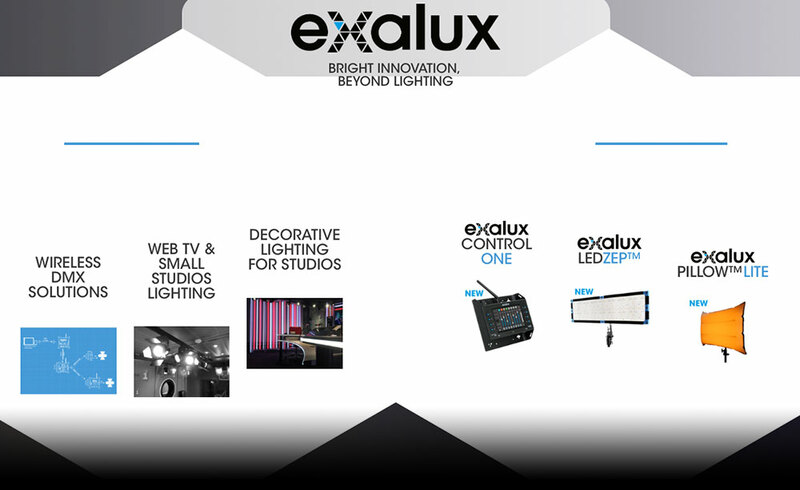 EXALUX is a French Manufacturer in LED light, dimming, power and control for the broadcasting and cinema markets. EXALUX team designs lightings solutions and remote control systems that reflect its values: innovation, user-friendly, eco-friendly, a “French touch”. Both technological and user-centric innovations are essential to enable professionals to create complex lighting sets in all situations. 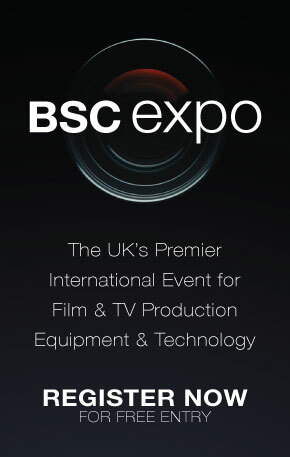 It is for this purpose that EXALUX unveils new lighting and control products at BSC London. CONTROL ONE is a new All-In-One Wireless DMX consol. EXALUX provides gaffers a new multi-function tool that is essential on sets to control all types of DMX devices. Control One is powered by an external battery. RX100s: POCKET-SIZED CRMX WIRELESS DMX RECEIVER EXALUX continues to develop its CONNECT range (CRMX wireless DMX control solutions) and offers the mini DMX wireless receiver RX100s, meeting the expectations of technicians who want a compact receiver, robust and suitable for all projectors on the market. LEDZEP is a new very lightweight, tough and versatile LED source. Available in 4 different sizes : 1×1 – 1×2 – 1×4 – 2×4. It was developed in partnership with Gaffers and DoPs in order to answer most of their light needs on sets, taking into account technical and budgetary constraints.e Thanks to the optional inflatable diffuser, LEDZEP will provide an ultra soft light perfect for face lighting.ie . Very low dimming steps for close ups. PILLOW was born from a partnership between Olivier NEVEU, lighting designer, the creator of the concept and EXALUX for the lighting part. PILLOW produces a soft and enveloping light particularly appreciated by the most demanding DOPs when it comes to illuminating faces. The extended 2200k-5600k colour temperature range allows to create a very hot or a cold lighting. atmosphere. By being inflatable, PILLOW is certainly the lightest light projector. It can be worn at arm’s length without any fatigue. LedMaster PULSE is a new 2700K-6500K tunable white dimmer. LedMaster Pulse is a V-LOCK ready dimmer for constant voltage LED sources. The dimmer integrates a high efficiency boost converter to generate a perfectly regulated 24VDC voltage from a V-LOCK battery .t grl dK.